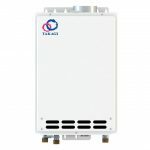 There are many tankless water heaters on the market, but only one of them is the Takagi T-H3-DV-N. 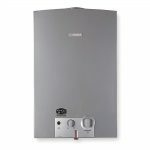 If you're wondering which water heater is the best of the best, this is it. If you've been looking for a powerhouse unit that can handle simultaneous sinks and showers, this is it. If you won't lay down a single dollar without knowing that the heater offers a great return on investment (ROI), this is it.The T-H3-DV-N has it all. 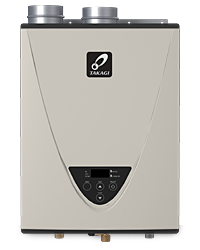 With power, efficiency and an excellent warranty, it's a tankless water heater I would recommend to anyone. You may be asking yourself why the T-H3-DV-N is so wonderful. Let's start with a frank look at its specs. Flow rate: The T-H3-DV-N offers a staggering 10 gallons per minute (gpm). This far exceeds the average of electric water heaters (2-4 gpm) and even outdoes other high-quality natural gas heaters (8 gpm). If you want hot water and you want it now, the T-H3-DV-N will deliver. Power: You'll need at least 199,000 BTUs an hour to handle the power of the T-H3-DV-N, so make sure your ground lines can accommodate it. You may or may not need to install special parts if you want to enjoy the full wattage of the unit. Size: At 60 pounds, this isn't a water heater that can be casually carried around. You'll need to find the perfect place to install it. Many consumers simply put it where their water tank used to be. 2. The T-H3-DV-N works with a condensing system. Instead of the natural gas creating steam that needs to be vented out, it condenses the steam in a combustion chamber and turns it into water that pours out of a drain. Simply put, the T-H3-DV-N offers a revolutionary way to heat your water. It's much cleaner and more energy efficient than other natural gas units, and with a variety of computerized safety features built right into the machine, you don't have to worry about firing it up, either. The T-H3-DV-N is hot. 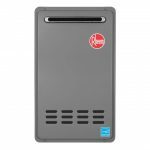 Its temperatures can reach up to 185°F, so if you're tired of heating units that only offer lukewarm water for your clothes, dishes and hands, this is the water heater for you. The flow rate isn't anything to be scoffed at, either. As previously mentioned, it can deliver up to 10 gpm, and that's enough for multiple showers and appliances all running at the same time. It should be noted, however, that this estimate is for mild climates and moderate, everyday use; if you live in a very cold location or have excessive hot water needs, you may find that your average gpm runs a bit lower. The T-H3-DV-N can be tricky to install because of its drainage system, so I don't recommend it as a DIY project. In my opinion, you should leave the work to professional technicians. You may also require an acid neutralizer kit depending on your district. In addition, you can buy extras and add-ons like remote temperature controllers if you want to adjust your water temperature to the exact degree. Just make sure you're buying from the Takagi brand to ensure compatibility. Like all tankless water heaters, there are both pros and cons to the T-H3-DV-N. Consider them carefully before making your final purchase decision. 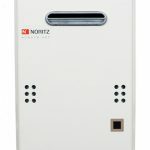 It might not be the cheapest tankless water heater on the market, but it's one of the most powerful, and it'll keep you well-supplied with hot showers even if you live in the snowiest of climates. If rated on a five-star scale, the T-H3-DV-N deserves all five. But you don't have to take my word for it: Check out the Takagi-H3-DV-N on Amazon and look at its universally good reviews for yourself. Everyone loves the T-H3-DV-N.